A group gathers in a corner conference room to discuss the challenges of how to bring its business idea MeltWell, a throat lozenge in the form of a thin strip that dissolves on the tongue, to market. This small group is facing issues common to entrepreneurs looking to create the next big trend, such as developing a prototype and raising capital. 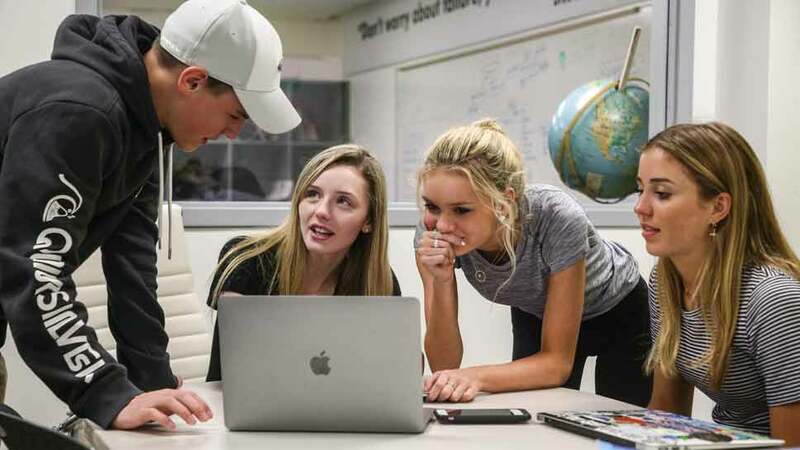 But in one way this group is different than most found in business incubators like Chicago’s 1871 — each member is a junior at Lake Forest High School. 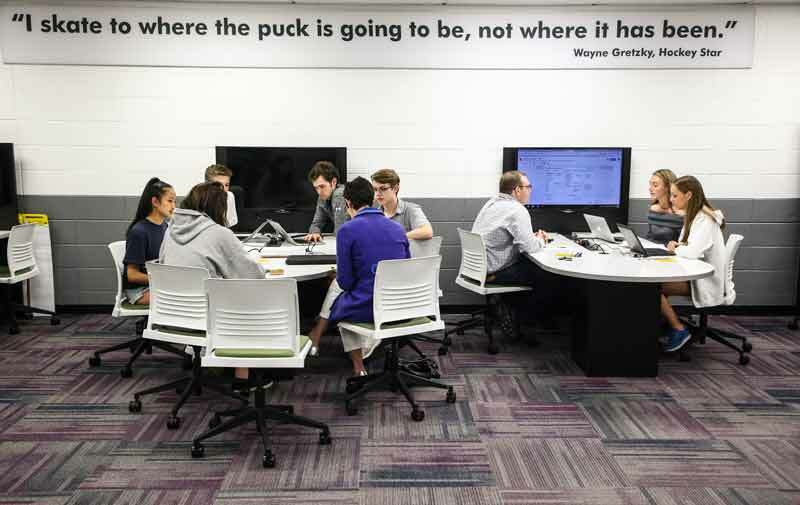 The students are enrolled in the school’s business incubator class, which was first piloted four years ago through a partnership between the school and Lake Forest High School Foundation. The yearlong class aims to teach students entrepreneurial skills through the development of a business that is pitched Shark Tank-style at a pitch night at yearend. “This class is the most like the real world, where they are getting skills they will use in their business career,” Michelle Gramza, business incubator co-chair for Lake Forest High School Foundation, told DailyNorthShore. The class has turned out to be wildly popular among students, with over 90 students registered for the class next year. “It just speaks to the reputation of the class. 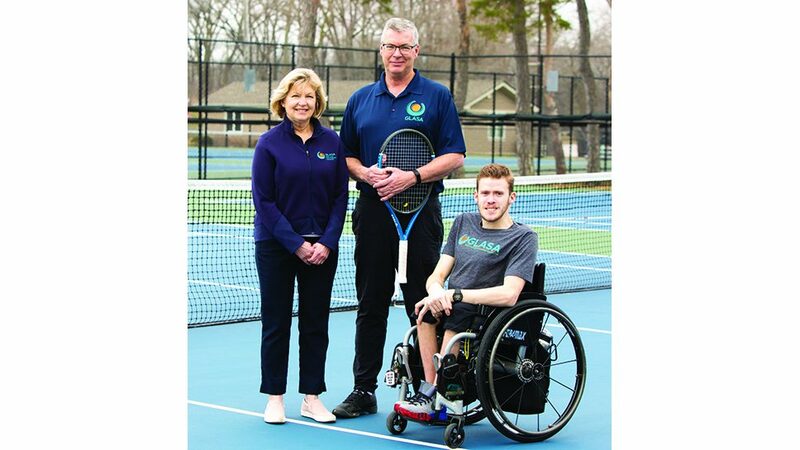 These students take these skills with them forever,” Nikki Rhomberg, business incubator vice chair for Lake Forest High School Foundation, said. 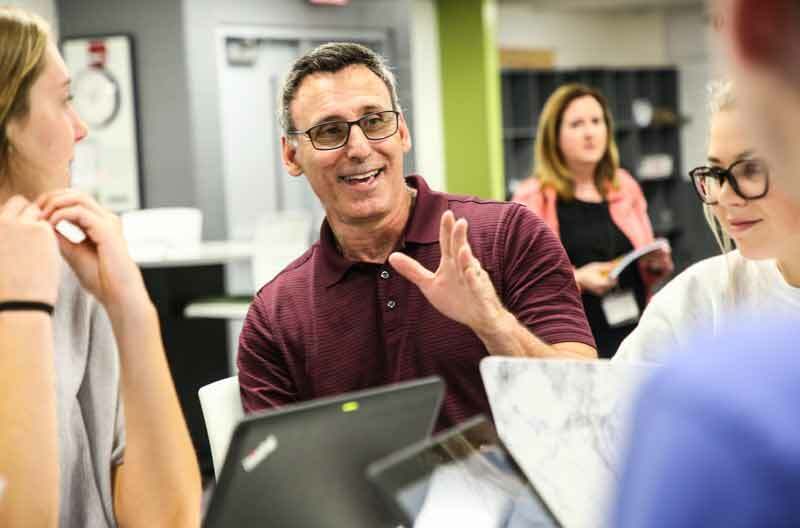 The classroom itself is styled after a flexible workplace concept that is popular among start-ups, Joe Pulio, who has taught the class from its inception, explained. There is space for presentations, as well as comfortable chairs and couches that can be moved around — perfect for a breakout session. By the door sits a wall of cubbies, where students immediately drop their backpacks and “go to work,” Pulio said. From the outset, students learn about teamwork, when they are divided into teams based on skill sets at the beginning of the school year. Each team must identify a problem and come up with a business idea to solve it, going through all of the steps required to establish a viable business. “It is really mirroring business,” Pulio said. Mentors from the community guide the students throughout the year, providing knowledgeable feedback. “As a community we are all educating these kids together. It’s the power of everyone,” Pulio said. One team initially came up with 100 different problems. The team ultimately narrowed it down to a nonprofit called Battle Buddies that connects students with youth battling cancer that they hope to market at a local corporate fair that a student’s father helped facilitate. Some students found working in a team for an entire year, with people they didn’t get to choose, challenging. “It definitely puts you out of your comfort zone a lot,” Jacqueline Schlosser said. But ultimately, many students spoke of how much they learned working through problems as a team. 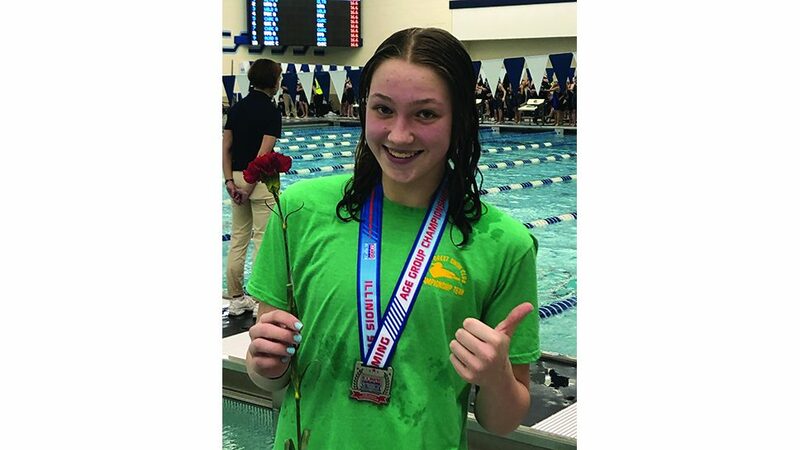 “I’ve never been pushed this much in a class,” Ashley Bufe said. Along the way, students learn from the myriad challenges that inevitably arise when starting a business. One team discovered mid-year that their initial idea was too costly — it would require millions of dollars to license a patent — forcing them to pivot and come up with a new idea. Members of the team spoke about their disappointment, but also how they learned that not everything comes easily, and discovered their ability to work through obstacles. Ultimately, the team came up with a business plan for a device that will identify if a food contains gluten, for people suffering from celiac disease or gluten sensitivities. Jen Leeson of Battle Buddies is excited to have landed her team’s first client. Battle Buddies and Hawkeye 360. The team behind MeltWell, from left: Sean Ramsey, Brooke Faller, Lily Fitzgerald and Ainslie White. As the year comes to a close, students are working toward an academic pitch night, where the top teams are chosen to proceed to the final pitch night. Students are also actively seeking private investors to attend the pitch night, upping their chances to win a sizable sum to start their business. Students can also enroll in a continuum of the class their senior year, where they work to get their business ideas up and running, or are hired to work for a business if their idea wasn’t selected at pitch night. Pulio, who has taught in the high school’s business department for 25 years, finds the innovative approach exciting. “You have to take it a day at a time. You are learning with them,” he said. LFHS pitch night is open to the public and will be held at Lake Forest High School on June 1 at 7 p.m.